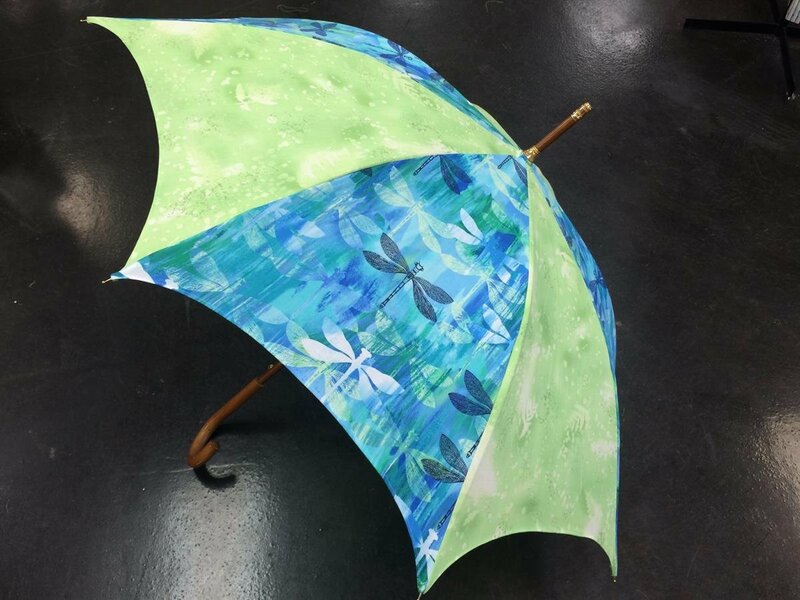 Join us in making this whimsical Umbrella in a two part class. This class is for an intermediate sewer and homework is involved. Supplies Needed: Pattern and Frame, Fabric yardage 2-2/12 yards total; we suggest non directional fabric. Hand sewing needles (piecemakers sharps), thread- extra strong, 8 Safety pins, sewing machine, waterproof spray *** there will be homework involved*** 1st class is more instructinal and some sewing depending on how you want to put together. 2nd class is more finishing.